SINGAPORE: The Singapore Environment Council (SEC) has launched a new certification scheme to facilitate the adoption of environmentally sustainable practices among local food-court operators. SEC's Executive Director, Howard Shaw, said food courts generate huge amounts of waste and consume massive amounts of energy and water every day. The Eco-Foodcourt certification assesses the environmental management system in a foodcourt, from its environmental policies to water, energy and waste management. One of the mandatory requirements is that takeaway orders must not be placed in styrofoam boxes. Minister of State for the Environment and Water Resources, Dr Amy Khor, who was at the launch, gave certificates to Singapore's first two Eco-Foodcourts - The Deck at the National University of Singapore's (NUS) Faculty of Arts & Social Sciences, and the Kopitiam @ City Square Mall. Examples of environmentally sustainable practices implemented at The Deck include organic food recycling, the recycling of cooking oil, and the use of eco-friendly and reusable boxes as well as the promotion of meat-free meals. Kopitiam's Corporate Communications Manager, Ms Goh Wee Ling, said the tenants saw a bonus for being environmentally responsible. They saw operating expenses fall when they managed the use of energy and water wisely. It was reported last year that Singapore saw a 31 per cent increase in waste generated since 2000, with food waste as one of the top five waste types. The SEC aims to give the Eco-Foodcourt certificate to 10% of the food courts in Singapore by the end of this year. Going forward the SEC says it is working towards a certification for community clubs and retail establishments. SINGAPORE - A new scheme has been launched to get local food-court operators to adopt environmentally sustainable practices. 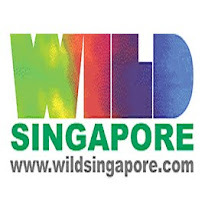 Its an intiative by the Singapore Environment Council (SEC). Its Executive Director, Howard Shaw, said food courts generate huge amounts of waste and consume massive amounts of energy and water daily. Minister of State for the Environment and Water Resources, Dr Amy Khor, who was at the launch, gave certificates to Singapore's first two Eco-Foodcourts - The Deck at the National University of Singapore's Faculty of Arts & Social Sciences, and the Kopitiam @ City Square Mall. Kopitiam's Corporate Communications Manager, Ms Goh Wee Ling, said tenants who managed the use of energy and water wisely saw a reduction in their operating expenses. Singapore reportedly saw a 31 per cent increase in waste generated since 2000, with food waste among the top five waste types. The SEC aims to give the Eco-Foodcourt certificate to 10 percent of the food courts in Singapore by the end of this year. It is also working towards a certification for community clubs and retail establishments. "We have foodcourts in our commercial spaces and in our heartlands, and overall it contributes significantly to resource consumption in terms of electricity, water, and waste generation. So by creating a shift in the way foodcourts operate we feel we can make a significant contribution to our national environmental statistics," said Mr Shaw. CUSTOMERS at two food courts will now use takeaway cartons and cutlery made from sustainable materials, in place of plastic or styrofoam ones. This is among the criteria the outlets needed to fulfil to become Singapore's first eco-food courts, under a labelling scheme launched yesterday by the Singapore Environment Council (SEC). The two food courts, one located at the National University of Singapore (NUS) and the other at City Square Mall, also have to cut back on their energy and water use, provide a vegetarian food stall and recycle as much of their waste as possible. SEC executive director Howard Shaw said food courts, which are widespread and 'serve as our community dining table', are a good way to raise awareness of recycling and environmental issues. He said he hoped to get at least 100 outlets - from among the several hundreds of food courts, coffee shops and hawker centres in Singapore - to sign up this year to become eco-friendly. Singapore, which imports most of its food, is grappling with ways to cut back on food and other waste. In 2009, a mere 13 per cent of its food waste was recycled. The Republic also hopes to boost the recycling rate for all waste from 57 per cent in 2009 to 60 per cent next year and 65 per cent in 2020. Two other certification schemes, for community clubs and the retail sector, will also be launched this year, in addition to the SEC's green office and eco-food court certifications. While the outlet at City Square Mall is Kopitiam's only certified food court so far, the chain is 'keeping an open mind' on getting its other outlets certified, said Kopitiam spokesman Goh Wee Ling. The food chain has close to 90 outlets in Singapore, about three-fifths of which are in malls, and the rest in heartland neighbourhoods. Ms Goh added that the set-up cost of buying recycling bins was 'minimal', and that operating costs actually went down 15 per cent to 20 per cent because of water and energy savings. South West District Mayor and Minister of State for the Environment and Water Resources Amy Khor was guest of honour at the launch of the certification scheme at NUS. Environmental consultant Eugene Tay, observing that the success of the scheme would depend on its actual implementation, said the devil was in the details. 'Success will depend on cleaners and stallholders themselves, and whether they separate food waste and ask customers if they need plastic bags,' he said. He added that in addition to energy, water, recycling and sustainable takeaway packaging, the certification scheme could also take into account whether the food is sourced locally, as transporting food over shorter distances could save energy. Besides the eco-food court scheme, other groups are also looking at food waste issues. The National Environment Agency is studying whether refund schemes or mandating certain premises to separate recyclables like food waste and glass can work to get people to change their recycling habits. And under the Energy Market Authority's $10 million Smart Energy Challenge, researchers from Nanyang Technological University are working with IUT Global, a company which turns organic waste into biogas for energy, to make food waste recycling more efficient.